"Little Rock Entertainment Agency offers a large roster of Classic Rock Bands in Arkansas"
If you would like to view more of our Arkansas Classic Rock Bands and entertainers please give us a call and we will be happy to send you to our online presskit website. "One Man Band - Live"
Need a great band but don't have the budget. Let us introduce our very own "One Man Band - Live". Performing Classic Rock hits from Bob Segar, Jimmy Buffett, CCR, KC & The Sunshine Band, Bee Gees, Jason Aldean and current songs of today and some Top 40 dance music. Sounds just like a real band with only one Lead Singer/Guitarist.Plays with pre-recorded backing music from real live musicians. Sound and lighting are included. Here is a chance to have a live band you can put in a small corner of a room, but still have the same sound of a full 4 or 5 piece band. "One Man Band - Live" also provides DJ dance music for your special event and you get to pick all of the music and it will be played for you during the "One Man Band - Live" breaks! This is some really fun and affordable entertainment for wedding receptions, company functions, private parties or night clubs. One of our most requested entertainers! 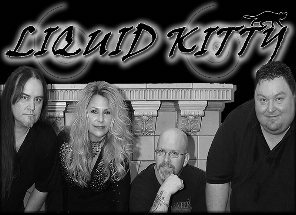 LIQUID KITTY was formed in 2011 from Little Rock, Arkansas with a single goal in mind, to become a great band with the diversity to perform at any level. With musicianship and vocals of superb caliber, the band is in high demand in several areas of the entertainment industry which include; Clubs, Casinos, Corporate and Private functions, such as Wedding Receptions. The band plays all styles of music including; 50's, 60's, Disco, Retro, Rock n Roll, Country, Blues, & Motown. The primary style is contemporary which includes, Dance, Pop, and Classic Rock. The band is always expanding the song list and stays on top of current trends and popular songs. LIQUID KITTY is a 4pc band that shows off 4 amazing instrumentalist (Drums, Bass, Guitar and Keyboards) that can play easily any type of event, rounded off by an incredible stage performance for all music lovers to dance and sing a long all during the bands performance. , Sister Hazel, Edwin McCain, T. Graham Brown, Tracey Lawrence, Josh Gracin, Doug Stone, Johnny Lee, Steve Azar, Kansas, Travis Tritt, and Restless Heart. We have been blessed with the opportunity to befriend well-known personalities, such as David Bazzell, Gary Valentine, Roger Scott, and our very good buddy, John Daly. 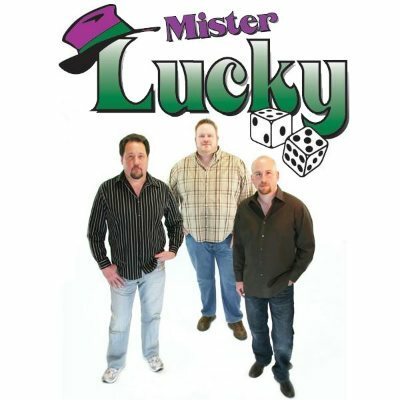 Mister Lucky is one of the most versatile bands with one of the most extensive song lists you will see from any band. Karla Case has been singing all of her life. She has been in many professional gigging bands like Full Circle, South of the River, and The Southern Way Band. Karla Case Band set list is rounded with the latest rock, pop, and country hits as well as peppering in some great classics. 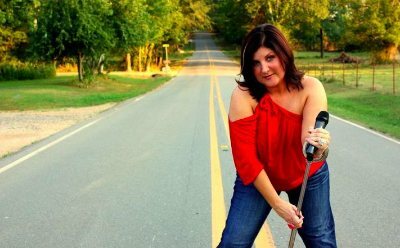 Karla is a very talented vocalist from Central Arkansas, her band is made up of some of Arkansas' veteran musicians you may have seen preforming in some of our States most popular bands. The Karla Case band preforms night clubs, festivals, weddings and company functions. 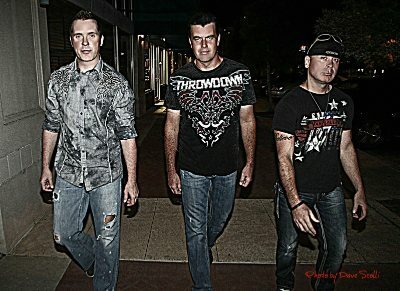 Taylor Made is a high energy Little Rock, Arkansas cover band with a focus on Modern Rock. But that is not all this great band preforms either, TaylorMade also preforms some of the most popular dance music from the 80's and 90's too..This band has been pleasing crowds around Central Arkansas for many years, they are a must see show! Third Degree an effort of this magnitude doesn't happen by chance. Tony Raleigh (lead vocals & bass), Tim Reed (vocals and lead guitar) and Mike Smith (AKA “Smitty” on drums) have devoted their lives to music, exploring many genres with various projects throughout the years. Meeting in 1991, they enjoyed success on the road performing with artists such as Toby Keith, George Jones, Waylon Jennings, Collin Raye, Ronnie Milsap, Mark Chesnutt and Steve Wariner. Inevitably returning to their rock roots, they've shared the stage with groups such as Poison, Candlebox, Slaughter and many other rock legends. 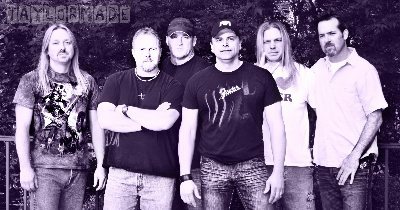 Most recently, Third Degree has opened for bands such as 10 Years, Buckcherry, King’s X and Redlight King. Third Degree is an absolute great band and awesome guys to be around, especially when there's a party. 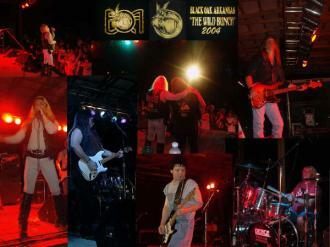 Best of all they play just about everything you can imagine classic rock, country, pop, dance and beyond. Like many Rock fans from the 70s, I remember the days of huge general admission concerts. The sweet, thick haze in the air as you sit there patiently (as possible) with 20,000 or so other concert goers waiting for the show. the opening act has put you in the mood for the main course, and the PA is jamming out the tunes. An eternity seems to pass, all the while flooding your senses with anticipation. Suddenly the lights lower, the recorded music stops, and a lone figure walks out on the stage. A hush falls over the audience. The spotlight hits the chosen figure who has the privilege of uttering those words: " Ladies and Gentlemen...are you ready to rock?!! The Incredible...Jim Dandy's BLACK OAK ARKANSAS!"